William Ackman of Pershing Square Capital Management LLC has filed a case against the U.S. Government accusing them of taking away all the profits of Federal National Mortgage Assctn Fnni Me (OTCBB:FNMA) and Federal Home Loan Mortgage Corp (OTCBB:FMCC) illegally. Pershing has filed this case in the U.S. Court of Federal Claims (Washington, D.C.) and challenged the “brazen” practice of taking away the entire profit of Fannie Mae and Freddie Mac into the U.S. Treasury Department. In addition to it, Pershing has accused the U.S. Government against the violation of the Fifth Amendment in the U.S. Constitution. He even added in complain that no compensation has been made to the other shareholders and his firm will fight for due damages in the matter. According to Pershing’s disclosure in November last year, the firm invested over half-a-billion dollars to purchase 9.98 percent common share stakes in Federal National Mortgage Assctn Fnni Me (OTCBB:FNMA) and 9.77 percent in Federal Home Loan Mortgage Corp (OTCBB:FMCC). Pershing Square Capital Management LLC is not the only firm to sue the U.S. Government over Fannie Mae and Freddie Mac. 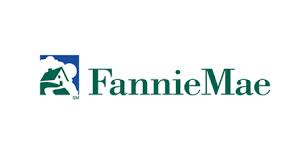 Other firms including Perry Capital LLC and Fairholme Capital Management LLC have filed lawsuits against the U.S. Government over the profits of Fannie Mae and Freddie Mac. There is a slight difference between the lawsuits filed by Ackman when compared with other firms. Unlike other lawsuit focusing over some preferred stocks of the companies, this lawsuit pays attention towards the common shareholders. The Court of Federal Claims is responsible for handling lawsuits that seek money from the U.S. Government. Click here to see the list of the holdings of Bill Ackman’s Pershing Square Capital Management.